Today’s business leaders know that when it comes to technology, there's no such thing as a single platform that meets everyone’s needs. That’s why Smartsheet works seamlessly with your favorite enterprise tools and apps, so you can focus on the work that matters most to your organization — in the best tool for the job. Out-of-the-box integrations work with your favorite cloud tools to get work done in context. Smartsheet seamlessly integrates with all of the top cloud productivity suites and applications, like Google G-Suite, Microsoft Office 365, Box, DocuSign, and many others. Experience unparalleled productivity on a platform designed for collaboration and coordination of business processes, without switching from one app to the next. Some integrations require eligible Smartsheet Business or Enterprise plans. Deep integrations enable real-time synchronization and visibility into critical business applications. Connectors enable powerful collaboration capabilities by automatically synchronizing data in critical business platforms with Smartsheet. Wherever and whenever data is updated, all stakeholders view the most up-to-date information across systems. Connectors are a premium capability available for additional fees to customers with Business, and Enterprise plans. Connect with a wide variety of the most popular enterprise and business apps. Supercharge your organizational productivity with embedded integrations and partner-built solutions, including integrations with Box, DocuSign, Tableau, Dropbox, and many more. Get started with our resources for developers. 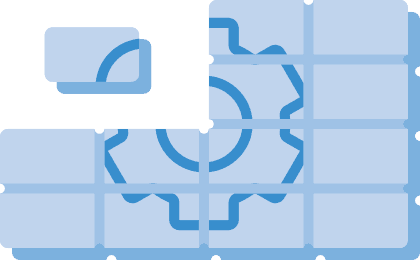 Ready to Make Smartsheet Work For You?